This past weekend, I attended the Life You Want Tour in Atlanta. I was excited to see many of my OWN Ambassador friends as well as friends with Harpo Studios and the Oprah Winfrey Network (OWN). Spoiler Alert! Much of the fun of the event was discovering little surprises so if you plan to attend the tour and haven’t been yet, you might want to delay reading so you don’t ruin your own fun. Day 1 began with a visit to O Town – not Orlando but “Oprah Town”. 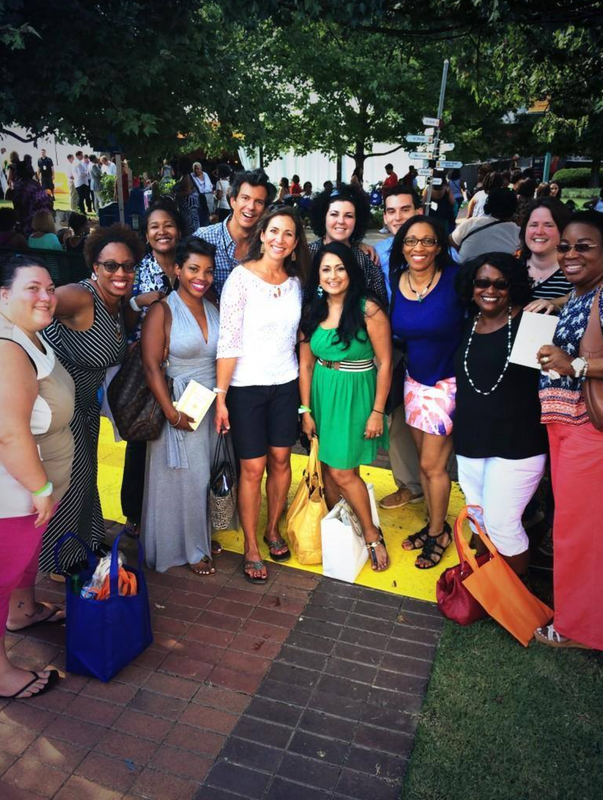 Here you could meander around from tent to tent taking in sponsor offerings, registering for contests, signing up for Oprah Magazine and mix and mingling with Harpo and OWN staff and celebrities. It was amazing just how prevalent familiar faces were. I am still chuckling about finding Executive Producer, Jill VanLockeren behind the counter selling “Peace. Love. Oprah” merchandise. Suffice it to say that if you watched Season 25: Oprah Behind the Scenes, you will recognize many familiar faces. It was hot as Blazin’ BeeJeezus as our OWN friend, Iyanla VanZant might say. That didn’t stop us from spending almost the entire day exploring. Many mini-reunions took place and I bumped into friends throughout the day. 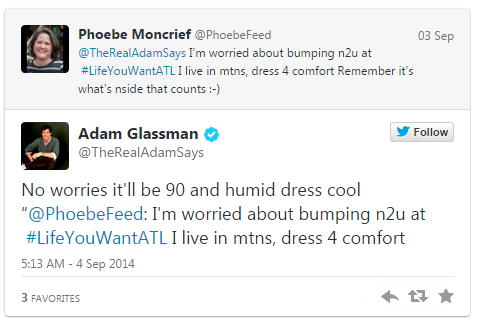 I had Tweeted to @AdamGlassman, O Magazine Fashion Editor, before the event then ran into him. He laughed at my hiking boots but said they were fine. Whew! 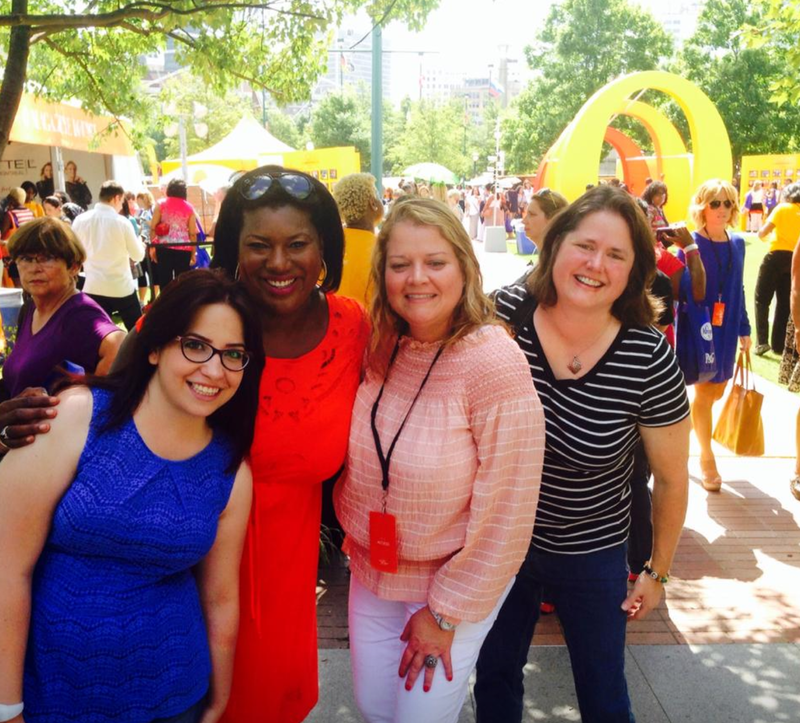 Running into Sheri Salata, Andrea Wishom and crew was an unexpected surprise. ← Congratulations to My Friends: Matt and Amy Baumgardner!